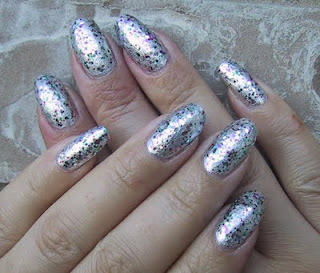 2 coats China Glaze Cheers to You and 1 coat of Wet n' Wild Party of Five Glitters, Seche Vite and voila! 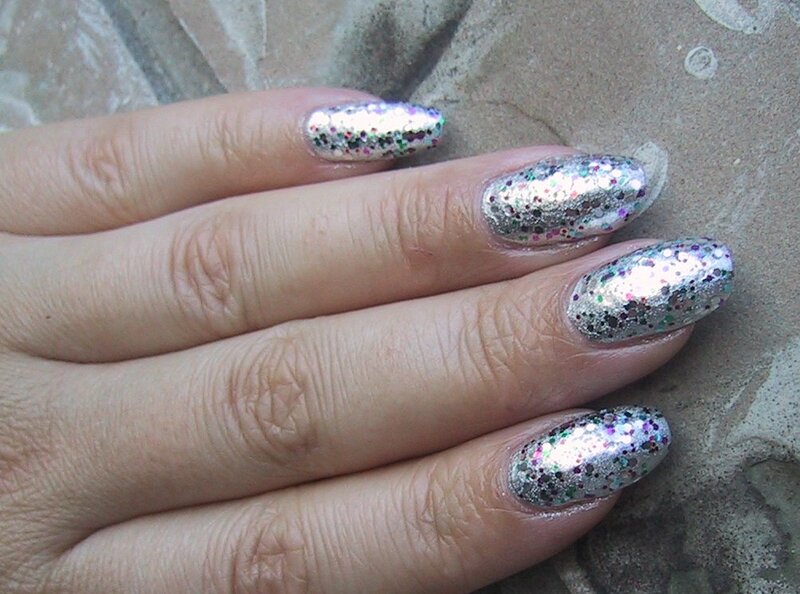 Space dinosaur disco nails! 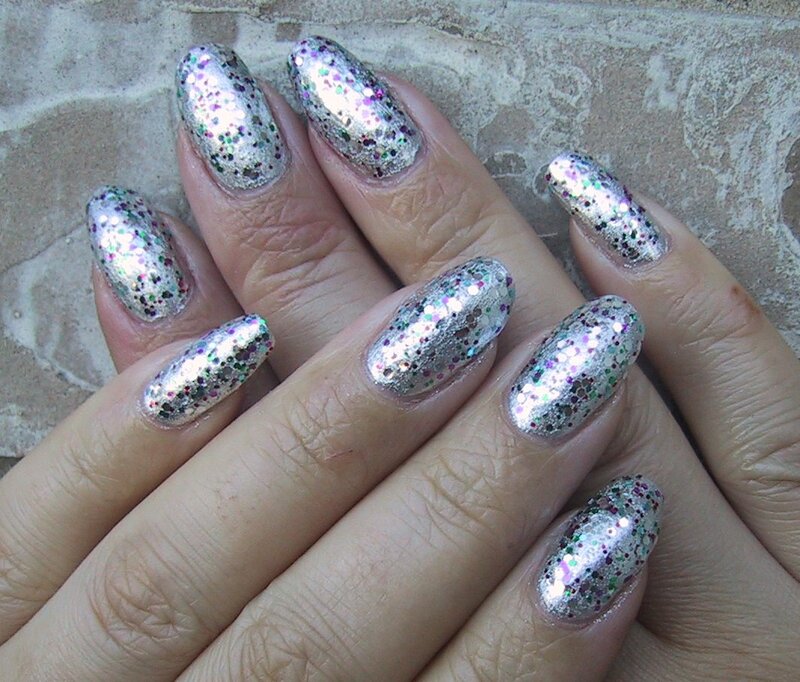 Silver gilded, jewel encrusted bling nails! Eye popping fun. 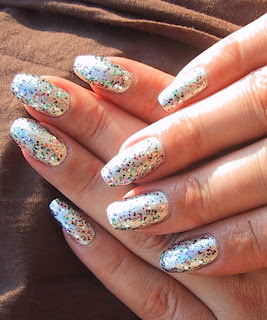 Love this mani, so pretty...looks like i need Wet n wild party of five glitter. I tagged you, "where do I store my cosemtics?"